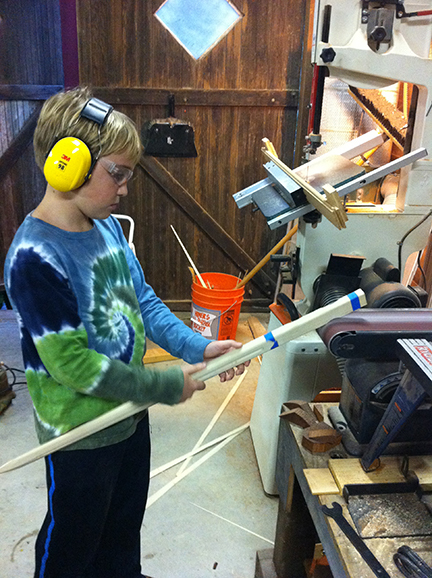 The Nerdy Derby is coming to the East Bay Mini Maker Faire! Build your own innovative car and bring it to the Faire for some fun, crazy racing. Or come to the Faire and get ready to create your own personalized vehicle to speed down the 30+ foot track. The Nerdy Derby is a twist on the Pinewood Derby, but where all rules are thrown out. With a larger, more undulating track and few restrictions on the size of the cars or materials participants can use, the Nerdy Derby rewards creativity, cleverness and ingenuity. See the competition categories below. Cars can be made from metal, wood, plastic, legos, cardboard, cheese or whatever you can dream up. The crazier and more inventive the better! Just make sure the wheels are 1¾“ apart and the car isn’t more than 8” high or 5” wide. The Nerdy Derby is presented by Park Day School; the roller coaster track is being built by students and parents as part of their Design Make Engage program. 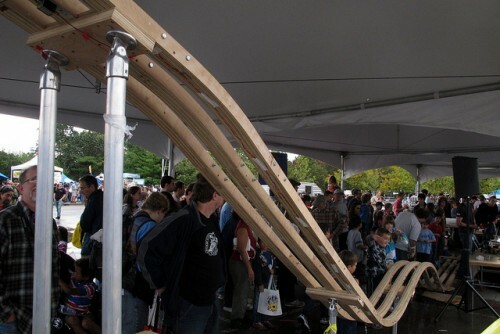 Check out the Nerdy Derby from World Maker Faire NYC! It’s an exciting time at EBMMF headquarters….the applications have been rolling in over the summer and we are well into our preparations for the Faire–coming up Sunday, October 20. 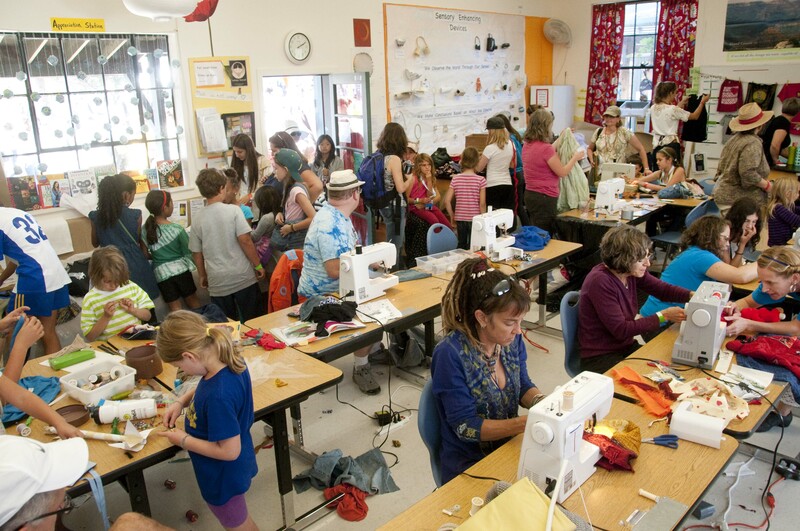 As soon as everyone gets back from vacations and the playa, and we all settle back into school and work and all things autumn, our committee gets down to business accepting Makers for the East Bay Mini Maker Faire. We’ll start sending out acceptances later this week, but we don’t want to miss out on any amazing Makers, Artists, Performers, Hackers, Builders, Speakers, Craftspeople, Homesteaders, and Urban Farmers that the East Bay has to offer. So, we’re extending the deadline for applying until next week. 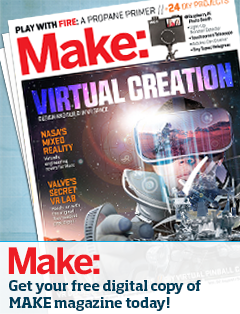 Click Here to learn more, fill out a Maker App and tell your friends too! Oakland International High School is a new public high school for recent immigrants to the US. Located in Temescal, there are over 330 students speaking over 32 different languages, and most of them have only very recently arrived here. These students are all English-Language learners at the same time they are trying to learn all their high school curriculum, and many of them have never had any formal education before OIHS. Some of OIHS’ 9th and 10th graders are coming to the East Bay Mini Maker Faire with a very cool project–a mini book lab. With their Art teacher, Brooke Toczylowski, they have created personal Art Journals, and in World History with Teacher Verónica Garcia the students have made geography books about their home countries. They’ll show you theirs and they’ll teach you how to make some too. 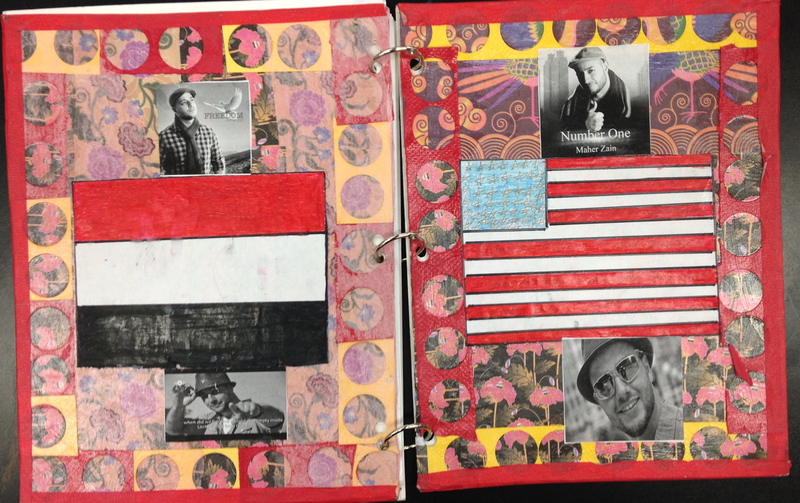 This is an example journal from the students’ art class. This is used as a sketchbook and research workbook. This student is from Yemen, and has placed the US flag on one cover and the Yemen flag on the other, to tell a story about her identity and journey. 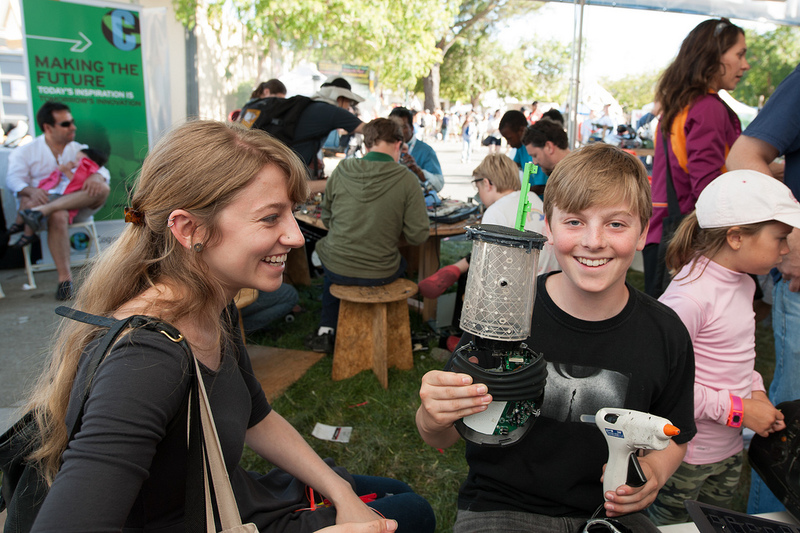 Come on down and meet some inspiring Young Makers! Announcing the Pop-Up Maker Share Zone! Hey Folks, this suggestion just popped up from Jeff Edmonston — East Bay Dad/Maker/EBMMF Facebook friend. Thanks Jeff! 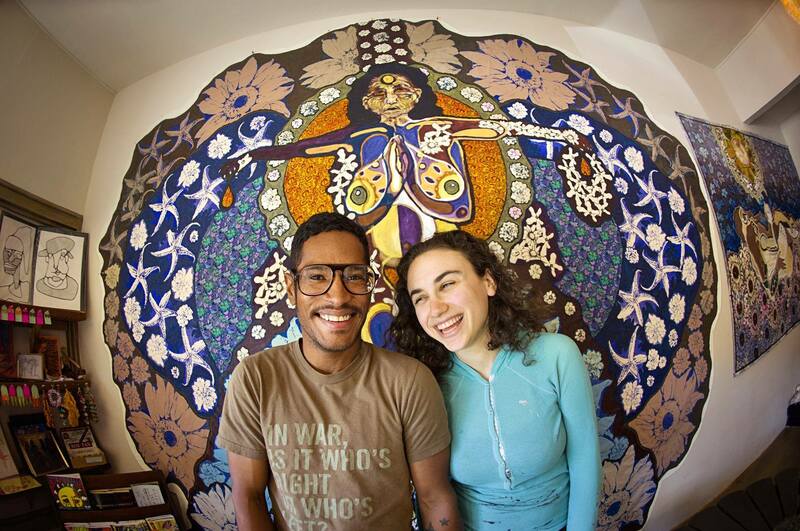 Bring your DIY project, your hacked up wonders, your art, and your smile. The Community Share Zone is an area where you can show off your projects and check out what your other Makers have been doing. Amaze friends and strangers, start an impromptu circuit bending music jam, let your LEDs shine. You don’t need to have a full scale booth or fancy presentation to share your stuff at the East Bay Maker Faire, just be willing to demo and talk about your project, meet others in the community and exchange ideas. Have something awesome you made from Adafruit, Sparkfun, Make Weekend Projects, Instructables, or any of the many kit makers and idea markets that have exploded to fill our idle hours with joy? Bring it out and share your enthusiasm with others. This is not for adults only – let the kids bring their first soldering creations, bugbots, models, science fair projects, EVERYTHING! If you have a really big project or lots of stuff, please only bring what you can carry while enjoying the rest of the fair. There is no storage space. Please do not leave any presentation items unattended that are of personal value to you. This is an “impromptu” or “pop-up” space that will be self-staffed by the faire participants. You are entirely responsible for the items you bring. Get yer Swap on Folks! If you’re coming to the East Bay Mini Maker Faire, you gotta make stuff while you’re here. What better place than our Hands-On-Everything Zone at Studio One? Tip from the Top: plan ahead for the Swap experience and bring a shirt to screenprint, and some clothes you either want to donate or something you’ve been dying to jazz up. 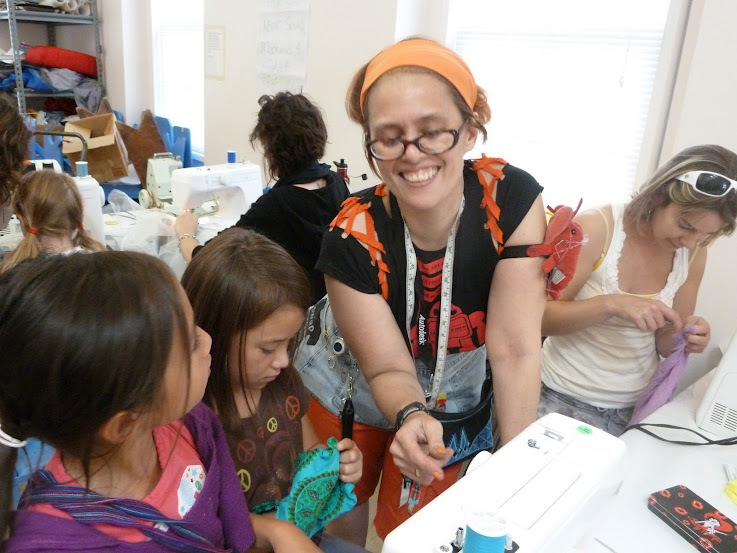 Swap-O-Rama-Rama is the brainchild of Wendy Tremayne, an inspired artist/maker/yogini/homesteader. Basically, its a clothing swap, a sewing room, a hackerspace, and a series of DIY/DIT (do it together) projects. 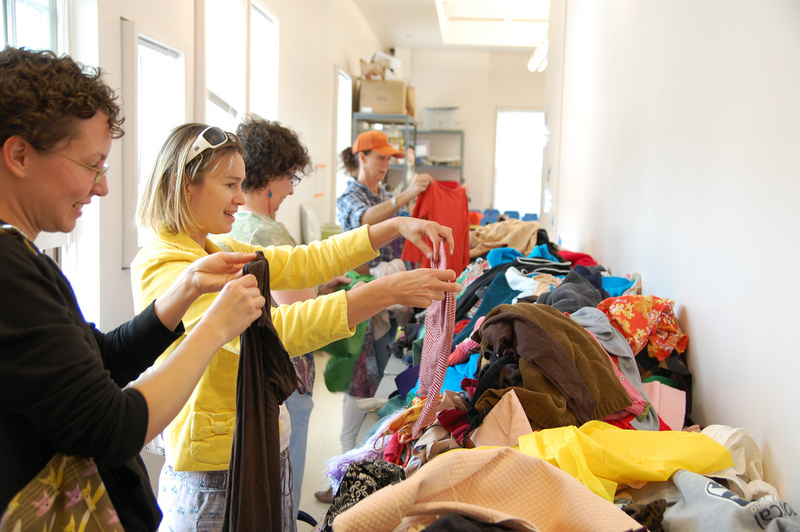 Bring along some clothes or all that extra fabric you’ve been meaning to use. Grab something and turn it into something else. Make a Halloween costume, a cape, a costume, a monster or a miniskirt. Make a stuffed animal or a tea cozy or a shopping bag, a book cover or a tutu….use your imagination or avail yourself of ours! This year, our sewing maven CC Clark is back in action with her rotary cutters, sewing machines, notions, trims, fabrics and projects galore. 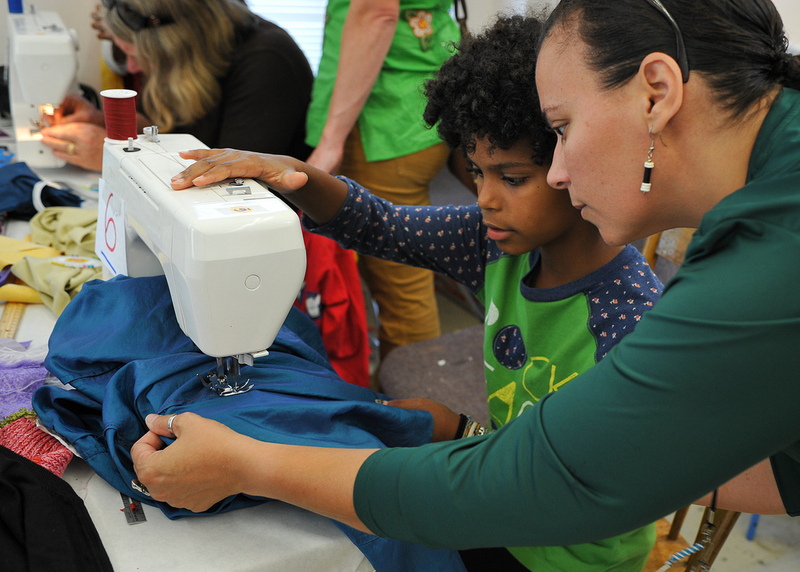 In addition, workshop artists Cedar Casper (young maker extraordinaire) will teach you to make a jeans purse and Jennifer Williams will get you cutting up old t-shirts to make TARN (t-shirt yarn) you can crochet into all kinds of neat stuff. Iggy from the East Bay Depot for Creative Reuse will return as well, and make cars out of old floppy disks. 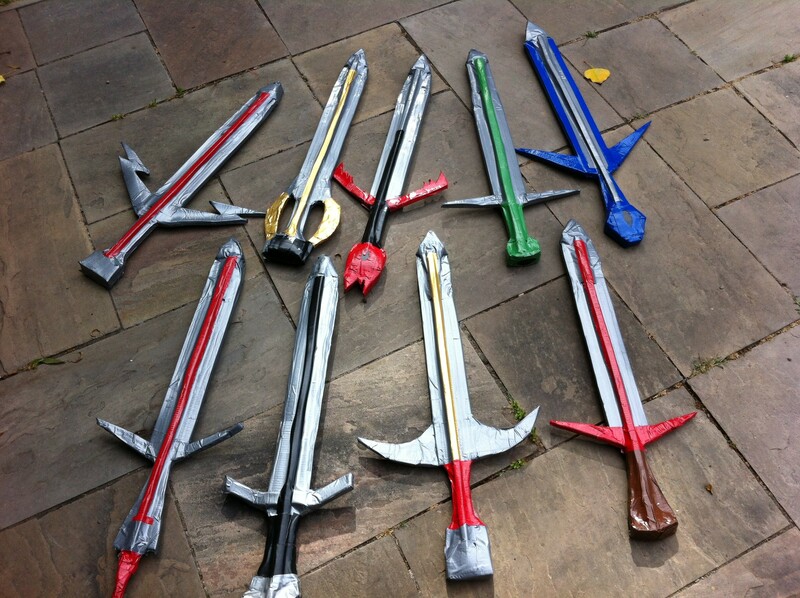 Remember those? 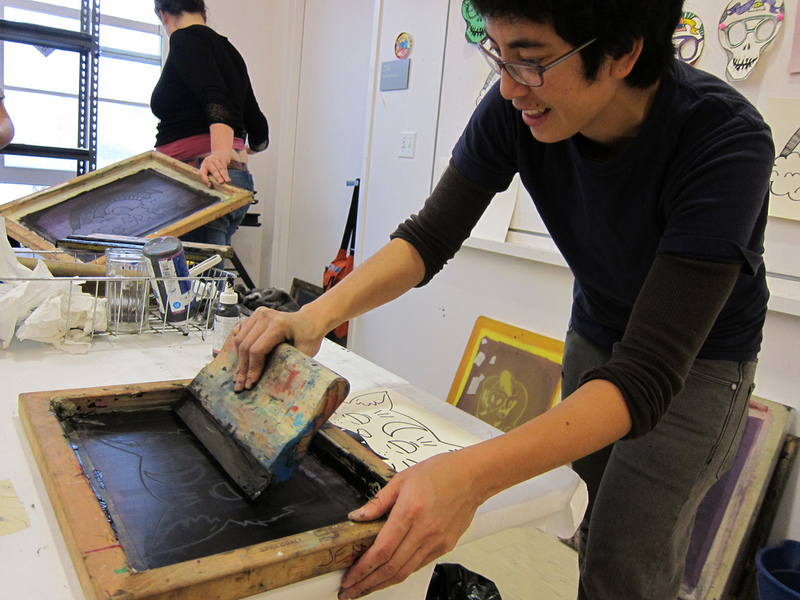 Next door to the Swap/Sewing room is the Screenprinting Zone. This is the place to take any t-shirt, hoodie, skirt, totebag or any piece of fabric you can lay your hands on and transform it into something cool. The artists and homies from Oakland’s Homeygrown collective will bring their original designs and help you create your very own work of art. 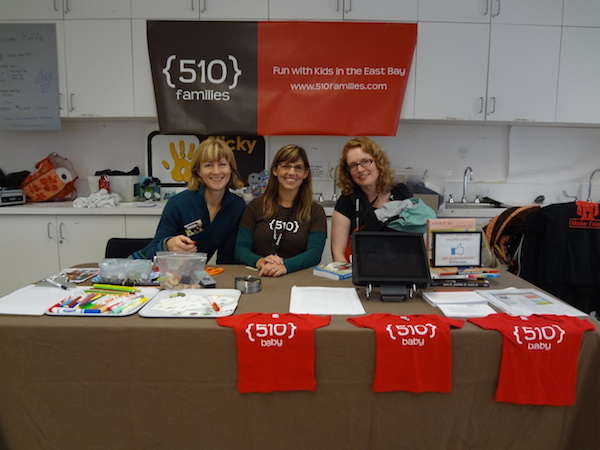 Also–thanks to 510 Families for helping promote the Faire and all our crafty efforts! Trinity Cross is a local clothier and her small indie label, field day, offers wearables made from reclaimed materials, organic cotton, and bamboo. 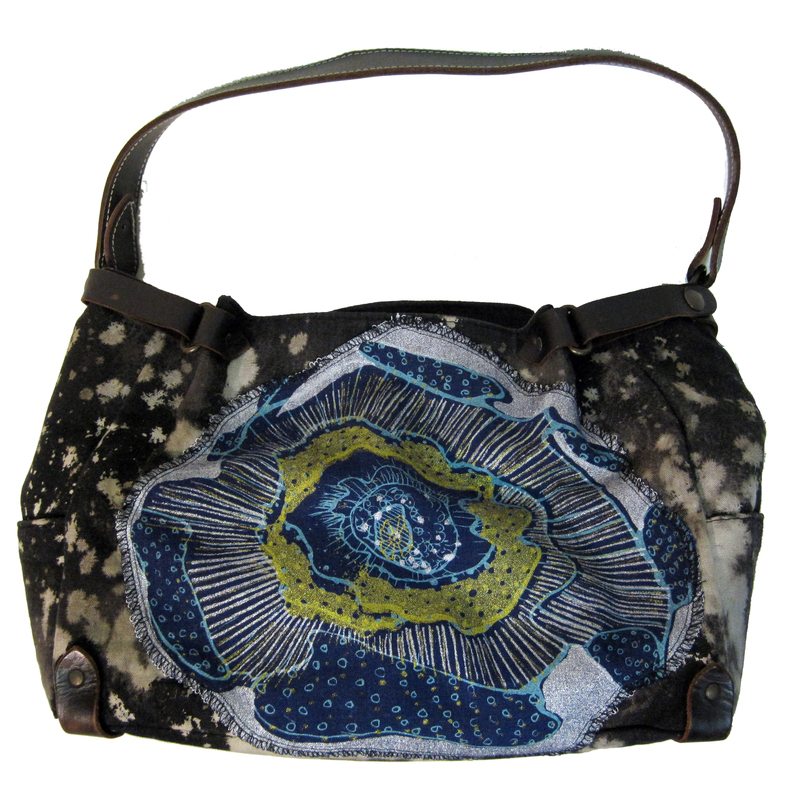 Everything is made, printed and dyed one at a time in Oakland. 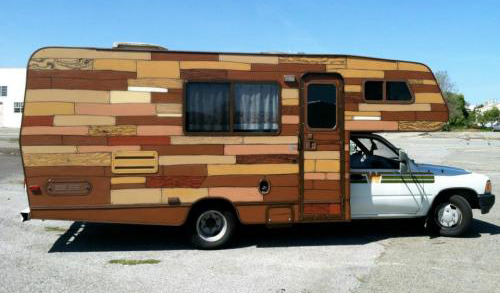 But that’s not all–she sells her lovely, soulful clothing and accessories from a pimped out, upcycled 96′ Toyota Warrior motor home! She completely gutted it and made in to a traveling store front. All the materials were reclaimed or recycled down to the very screws. 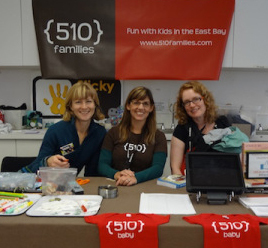 field day is one of the East Bay Mini Maker Faire’s 20+ “commercial makers”—crafters, artisans, and purveyors of handmade delicacies—who will be exhibiting and selling at the Mini Maker Faire. >>YES THE TOYOTA WARRIOR WILL BE PRESENT! The faire is actually a great opportunity to get ahead of your holiday shopping! So between workshops, exhibits, rides and food next Sunday, plan for a bit of time and find that special gift or two. You’ll be proud that your present is local, maker made, unique and undoubtably fabulous. One of the very coolest things about the East Bay is that we have serious food folk—growers, makers, bakers, eaters…Seriously, it seems Oakland is all about cuisine these days whether its our amazing farmers markets, restaurants, pop-up food truck pods, canning & jamming parties, crop swaps, eggs from your neighbor’s chickens, urban food foragers…an embarrassment of riches, truly. 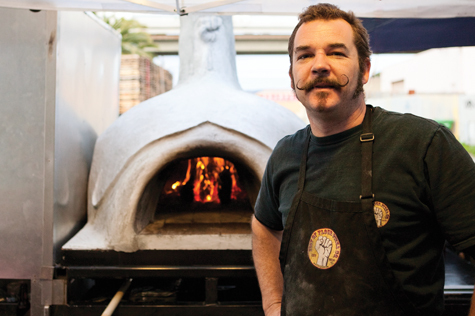 If you attended the East Bay Mini Maker Faire last year, you may have been a little frustrated by the dearth of food by mid-afternoon. But fear not—we promise this year the food will be a MAJOR highlight of the day, and while we can’t promise zero lines, there will definitely be a whole lot more to choose from. The Food Truck Alley at the EBMMF is being curated by Temescal’s own Karen Hester, a community activist and event organizer extraordinaire. Karen started Bites Off Broadway, Oakland’s first recurring food pod in an effort to push forward a mobile food policy for the City of Oakland. In addition to these “Bites off Broadway” delectable offerings, there will be multiple stands with grab ‘n-go sandwiches & yogurt & fruit, cookies, kettle corn, fresh fruit popsicles and more courtesy of the Park Day Parents Association, as well as sausages from Studio One Art Center. We highly recommend you come hungry!